The best way to learn about ELP is to attend a local meeting, interact with the other attendees and participate in the discussion for that week. Volunteering will help you build your business and communication skills and get additional experience that can be used for future jobs and business opportunities. Our Facebook community is always happy to have new entrepreneurs and in the Group we share relevant content and triumphs. Sponsorship is also a great way to spread the word about your product or organization to the dynamic and influential consumers and business owners that make up ELP members. 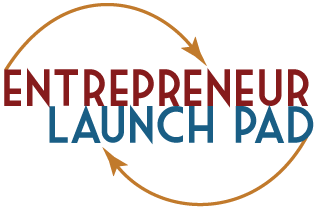 If you or a business you know is interested in sponsoring Entrepreneur Launch, please contact Crispin Sandford, csandford@elpnow.org, 949-416-4598. If you would like to make an in-kind donation, please contact Crystal Walker, cwalker@elpnow.org, 801-580-3310. If you would like to support ELP but are not ready or able to be an official sponsor, please consider making a one-time donation. All donations go to improving the quality of our training to help entrepreneurs succeed. We welcome donations of any amount. Please click the button below to be directed to a secure payment site powered by PayPal where you can donate using a credit/debit card or your PayPal account. For more information on donations, please contact Jennifer Brown, ELP Treasurer, at jbrown@elpnow.org. Volunteering with Entrepreneur Launch Pad not only gives you the opportunity to share of your time and expertise but also puts you in contact with many entrepreneurs and business leaders who can help you grow as a person and a business owner. Volunteering with ELP can help you build your business and communication skills and get additional experience that can be used for future jobs and business opportunities. Click on any of the titles below to learn more about the positions that are currently available. There are opportunities to fit every skill set and time availability, from hands-on leadership roles to occasional help. If you want to get involved but don’t see an opportunity below that fits your needs, please contact us.